The Association for Communication Administration is an organization that is geared towards exploring communication in higher education. In Spring 2017, Pier601 students brought on the Association as a client to enhance their visual identity. Included in the project was the development and design of an engaging website that followed the brand identity, which was also created by the students of Pier601. 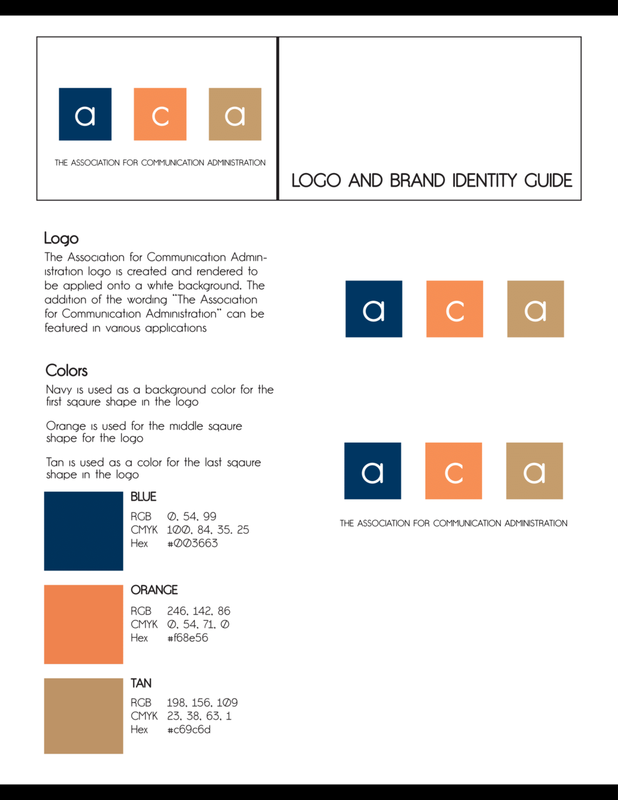 Our team developed a brand identity guide that was later used to guide the design of the Associations' website. Below is an example of a Pier601 brand identity guide developed to solidify the ACA brand. Following the Association's visual identity, the team of creatives at Pier601 designed an engaging website to be the digital face of the organization.